Your brakes are one of the most important components on your car and keeping them in tip-top shape is the key to a great automotive experience. If you want to keep your Mercedes in great condition, you should make sure that your car has routine brake service maintenance. Brake maintenance should always be a priority. All drivers should have a brake service at least once a year. Besides the annual brake service, a vehicle will need brake service maintenance before a road trip. If your vehicle has faulty brakes, you could lose control of your vehicle. Every year, faulty brakes cause thousands of car accidents. When you make sure that your car has regular brake service maintenance, you can improve your vehicle's overall performance. There will also be less wear and tear on your Mercedes. Our mechanics can inspect your brakes. If you hear a weird noise when you press on your brakes, your car could have a mechanical problem. Your car's brake pads need to be replaced on a regular basis. 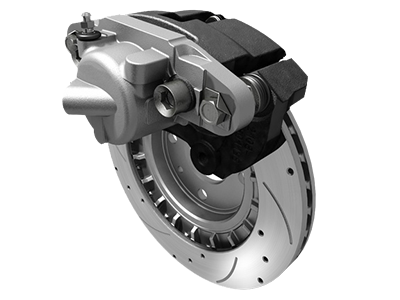 When your brakes are in great condition, you will save money on costly repairs. Our automotive technicians are certified professionals. Our mechanics can diagnose the problem, and we can handle any type of brake maintenance issue. We regularly perform routine maintenance on all makes and models. We can repair economy and luxury vehicles. When you bring your vehicle to us, we can answer all of your questions. We will perform the brake service in a timely manner. At our dealership, our customers are always our main priority. Our mechanics are highly knowledgeable. We can handle small and large brake service issues. We repair hundreds of vehicles every week, and we routinely perform brake service repairs on luxury vehicles. We only use quality original manufacturer parts. OEM parts come with a manufacturer's warranty. If you have any issues with an OEM part, a friendly customer service representative can always offer you assistance. OEM parts are designed to fit your Mercedes. The parts have to meet high standards, and they have to pass rigorous tests. They also last longer than aftermarket parts. Aftermarket parts can come from unscrupulous suppliers, and a faulty part can damage your car. OEM parts can increase your car's longevity. 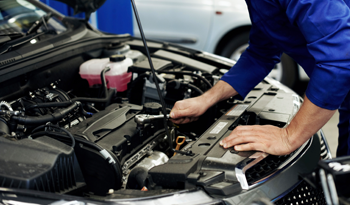 At our Mercedes dealership, we can handle all of your routine vehicle maintenance. Bring your car to our dealership in Paramus, NJ, and our experienced mechanics will handle your brake service repair job.